The Union earned a 1-1 draw against a Real Salt Lake team that rested most of its starters for Wednesday’s midweek game. PSP has post-game analysis, player ratings, video highlights and photos. A disappointing 3-1 loss away with the Union down to ten men for nearly 70 minutes. Here’s the wrap. Steven Lenhart’s two beautifully headed goals sank the Union 2-1 on Thursday night. PSP has post-game analysis, player ratings, photos and video highlights. Bad refereeing and a strange bounce helped cost Philadelphia Union a win Saturday in what was nevertheless an evenly matched and entertaining game. 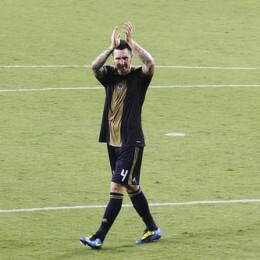 PSP has post-game analysis, video highlights and player ratings. 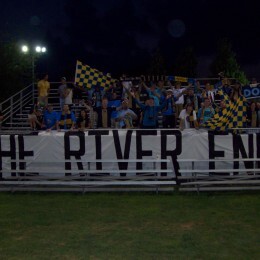 There was some good, some bad and some ugly in Tuesday night’s friendly between Philadelphia Union and the Harrisburg City Islanders of the USL. PSP’s Tim Uhrich recaps. 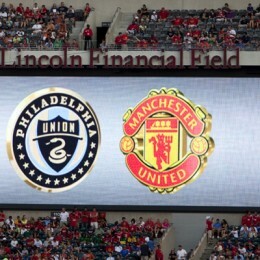 Philadelphia Union held Manchester United even for 75 minutes before Gabriel Obertan scored in the 76th minute to give the Red Devils a 1-0 victory Wednesday night. 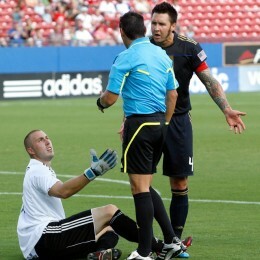 The Union pulled out a late win Saturday on a stoppage time penalty kick by Sebastien Le Toux. We have video highlights, photos, player ratings and some post-game analysis. 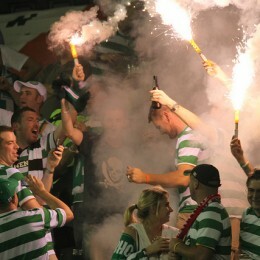 Celtic fans play with fire, a rookie goalkeeper goes insane, a biblical flood delays hundreds (or thousands) from getting to the game, and who the hell is Eduardo Coudet? We bring you the ultimate WTF game. A breakdown of Wednesday night’s Union-Celtic match, in which goalkeeper Brian Perk starred and a few others showed they can play this game a bit.